Looking for Australian LMS training dates for this winter? Pukunui is offering you another opportunity for Moodle™ training in three east coast cities this Winter. Whether you’re a course creator or a manager, we have training solutions for you. 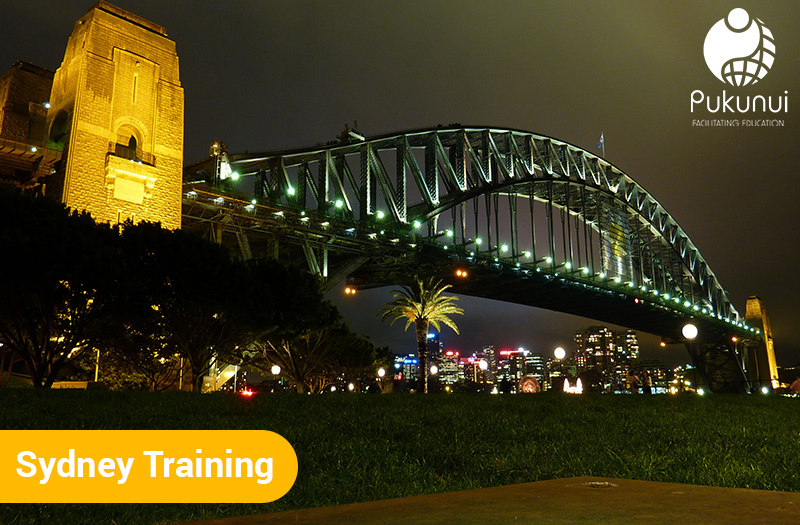 Sydney Training dates are coming up fast with Course Creator scheduled for June 26th and 27th. LMS Manager training is scheduled for June 28th. But there is still time to sign up! We would love to have you join us for all three days; in addition, Pukunui is offering over 10% off if you book the three day combo. Want more savings? Book three or more from your organisation and we’ll offer you a discount. Find out more here. We also have dates scheduled for Melbourne during school holidays. Course Creator is scheduled for July 10th and 11th. LMS Manager is scheduled for July 12th. So come find out how to create Moodle courses, or manage your Moodle LMS. Again, we’re offering a 10% combo deal if you want to take both courses. If you want to book your whole team, we’re offering a discount for three or more. Book now here. Also, it’s not too early to sign up for Brisbane training coming up this August. Course Creator training is scheduled for August 7th and 8th, and LMS Manager will be held August 9th. We’re returning to Queensland with more Moodle expertise. And Pukunui is bringing those deals north with combo and group discounts. More details here. And finally, visit the LMS Training page for more details on any of these training sessions or to sign up now. And most of all, we love to visit our clients. If you’re looking for training a large team or if you want customised training, contact us. We can tailor Course Creator or LMS Manager, or one of our Booster Shot Workshops for your organisation. We’ll be happy to provide you with a number of Moodle training options.